Health Minister Simon Harris has appointed Fred Barry, a former chairperson of the National Roads Authority, to chair the board responsible for building the new National Children’s Hospital. 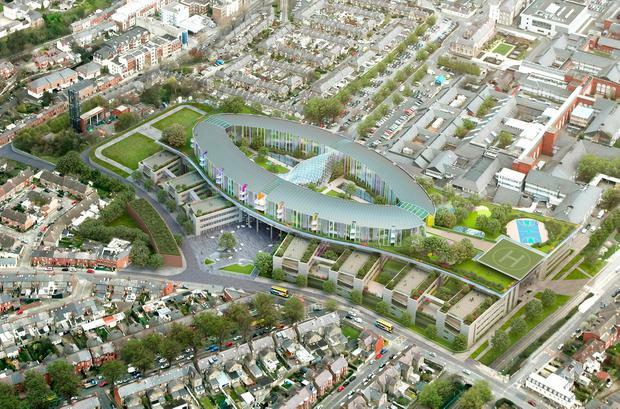 It follows the decision of the former hospital chairman Tom Costello to step down amid the controversy over the escalating expense of the new children’s hospital, which will cost at least €1.4bn to construct. He said Mr Barry is a former chairperson of the National Roads Authority and has vast experience in managing complex projects. “I want to thank Mr Barry for taking up this role. The National Children’s Hospital is the most significant investment in children’s healthcare in this country. The Minister also said he had revised terms of reference for the PwC review into the cost escalation of the hospital. “The review will deal with the accountability of the relevant key parties, functions and roles,” he said. The review will be completed by March 29, 2019, subject to availability of relevant documentation and personnel, and will inform any governance or other changes required. Establish the sequence of events in relation to the cost increases experienced by the project. Establish what was known, when and by whom, and the reporting of relevant information from the project team to the relevant oversight and governance bodies including NPHDB Board and its Committees, the HSE and the Department of Health. Establish the underlying root causes (processes, controls, governance and decisions taken) that have contributed to cost increases. Comment on the major residual risks and the robustness/completeness of the current forecasts and identify and where possible quantify those risks contractually excluded from the GMP/adjusted contract sum. Comment on the extent to which changes have been put in place by the NPHDB, the HSE and the Department of Health to address lessons learnt.